Make your home’s outside as appealing as its inside with these quick and easy decorating tips for your backyard. 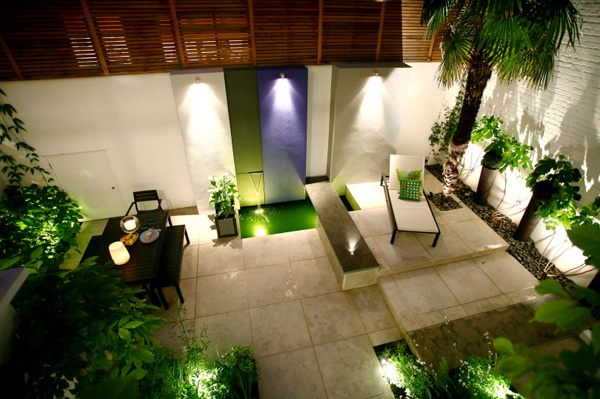 Setting the mood in your backyard is the first step to making it more appealing, and more importantly, visible in the late afternoon and evening. Festive light strands and low-voltage lights spread throughout your garden can light up the landscaping and patio areas for a colorful atmosphere. String a strand of lights by a big step or breaks between the patio and yard for safety’s sake. For an even easier and low-maintenance option, try solar-powered lights. Just make sure to stick the lights in a spot that receives at least a bit of sun during the day. These lights will even work in winter months when the sun is not as strong. Adding fun seating and furnishings to your yard will beckon you to sit and enjoy your outdoor space. Chaise lounges, Adirondack chairs, simple bistro sets, patio sets and other table and chair sets are the perfect way to spruce up the backyard and make it more inviting. Sites such as costplus.com, westelm.com, crateandbarrel.com often offer great deals in late summer/early fall. This is also true for patio sets that include chairs, umbrellas, tables and sometimes side tables at large stores such as Home Depot, Lowes, Sears, Walmart, Kmart and Target. Art takes so many backyard-friendly forms. Try painting a fun mural on the side of a garage that faces the backyard or a fence line. Let the kids partake in the fun and have them leave their mark on a sidewalk or concrete area in the space. Go 3D and purchase or make your own sculpture for the garden or lawn. You can make these out of recycled materials to help your backyard truly go “green.” Some art dealers sell paintings and drawings that withstand the elements with special framing and protective materials. A beautiful chiminea adds to the ambiance, and its smoke helps drive pesky bugs away. Add a water feature. This can be as simple as a horse trough that you transform into a mini waterfall. Simply visit any of the numerous websites that walk you through the process. 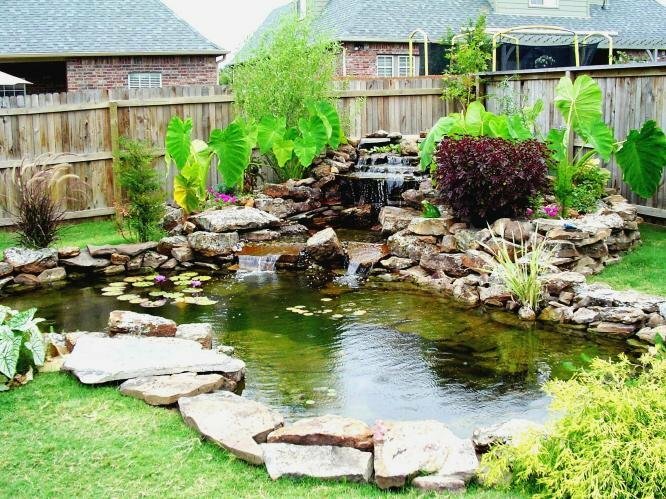 Add a gorgeous Koi pond stocked with the brightly colored fish. If you have the room, a babbling brook running through the garden or along your property line makes for great background noise. Please note, though: If you have young children, you must use caution when adding water features. Children should never be left alone in a yard that has standing water. Make a home for the birds and build a birdhouse or purchase a gorgeous cardinal castle, bluebird bed and breakfast or robin’s retreat. Let the delicate sounds of chirping tweeties set the cheerful mood of your yard. Keep away pesky creatures such as mosquitoes and bees with traps sold at garden and yard stores. For best results and the least amount of bites and stings, place them far away from areas where people congregate.